On September 8th our Managing Director. 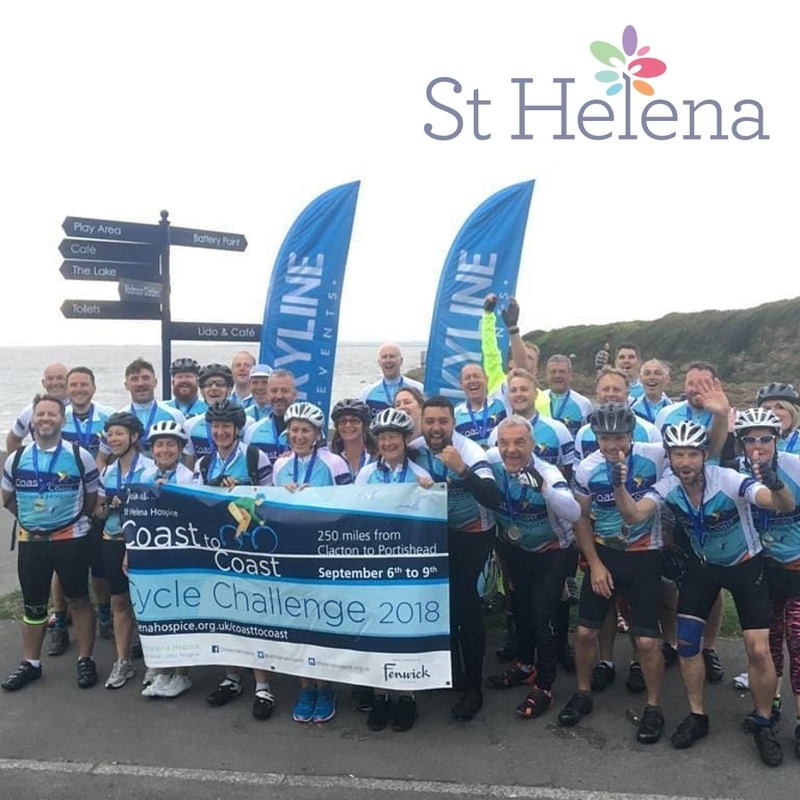 Terry Knight, completed the St Helena Hospice Coast to Coast Cycle Challenge in memory of his mum who was cared for by the Hospice in the final month of her life. Terry, a keen cyclist, completed the 250 mile route comfortably after training for the event beforehand. 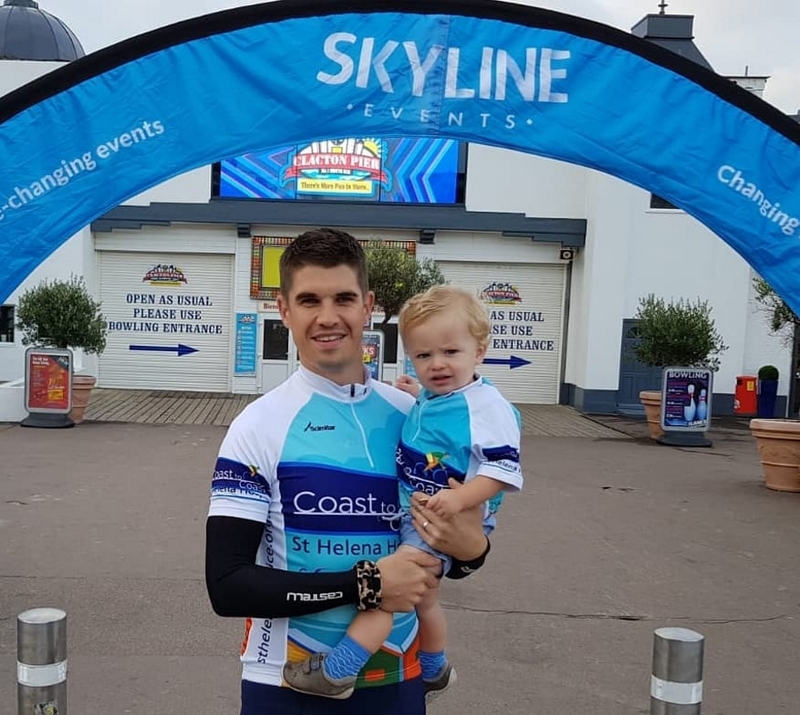 The challenge was spread over 3 days and started from Clacton Pier on the 6th September where he was seen on his way by his family including his one year-old son Fearnley. Day one the riders travelled some 70 miles to Cambridge where they spent the night. Days two and three they travelled from Cambridge to Oxford and then on to Portishead on the Somerset coast after another overnight stop. Some of the staff went to wish him luck and spur him on en route on the B1508. Our Mandy had promised to double her donation if he wore leopard print. And he did! Terry Knight, resplendent in leopard print is spurred on by well-wishers from Codair as he passes through Wormingford on the B1508 on the first leg of the challenge. Anyone who would like to donate to Terry’s fundraising page may still do so. Just go to http://bit.ly/2yvTOIl where you can also read more about Terry’s personal journey towards taking part. Well done Terry for completing the challenge and supporting this most worthy cause.